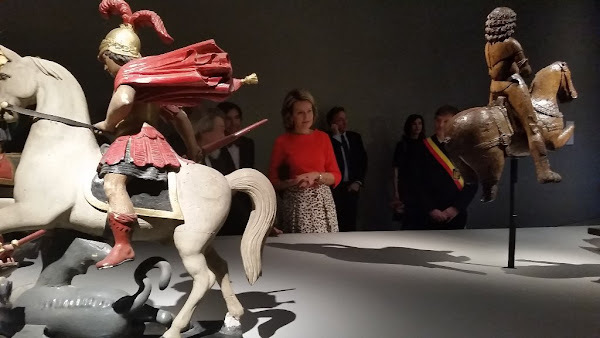 Queen Mathilde of Belgium visits the exhibition 'L'Homme, le Dragon et la Mort, La Gloire de Saint Georges' (The man, the dragoon and the Death, Glory of Saint Georges) at the contemporary arts museum in Mons on November 17, 2015. For the first time Queen Mathilde looks young, her age (second photo). Maybe because her hair are little bit messy and it looks good. 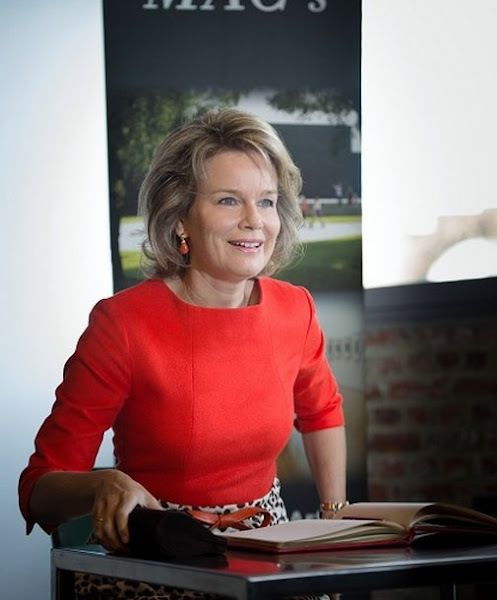 I agree, Queen Mathilde (42) looks young. 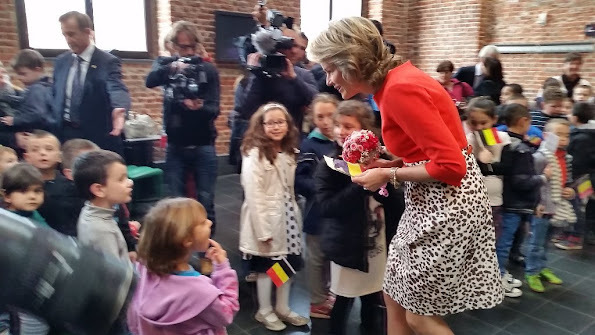 Maxima (44), Letizia (43), Mette-Marit (42), Victoria (38), Sophie of Wessex (50), Rania (45), Mary (43), Charlene (37), Madeleine (33), Catherine (33), Stephanie of Monaco (50), Stéphanie of Luxemburg (31), Sofia (30), Marie (39) they are all aging very well while they are extremly hard working for their country. If they visit foreign countries it is almost a 24-hours-job. 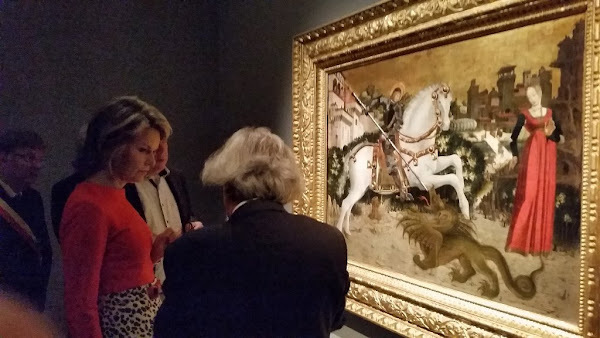 Hopefully the subjects and commoners appreciate that in a deep gratitude. Maxima , Mathilde, Mette y Mary que andan por la cuarentena, tienen más mérito que Letizia que ha recurrido en exceso a la cirugía para parecer más joven. Es lo mismo para Victoria que luce natural frente a Charlène que tiene demasiados retoques estéticos. Lo siento, no se puede comparar lo incomparable, por eso no hay que meter al mismo saco las mujeres que se mantienen naturales y las que se operan. Mathilde has always seemed older to me, although I am aware she is young. She has never appeared to be as youthful or vibrant as Maxima or Mary. Mathilde has always seemed a bit staid to me, and a bit Mumsy. I agree with you, she looks "Mumsy" not youthful at all.